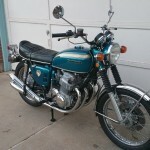 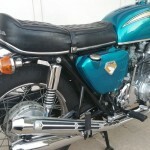 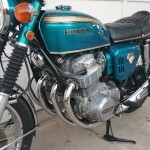 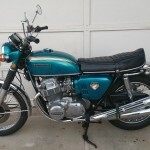 This early “Sandcast” Honda CB750 was restored by its owner. 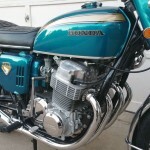 The engine was rebuilt with a valve job, new pistons and rings. 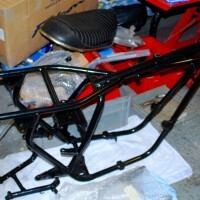 The chassis was completely serviced and rebuilt with new swing arm bushings and new wheel bearings. 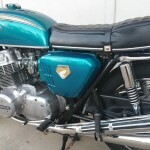 The candy blue-green paint was professionally applied. 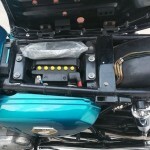 The airbox and side covers were replaced. 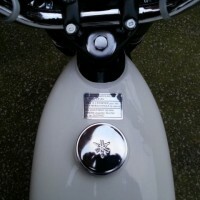 The right hand switch was replaced with a new old stock Honda item. 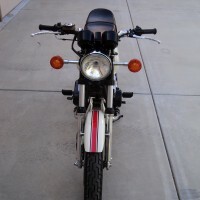 All of the perishable parts were replaced with new old stock Honda items. 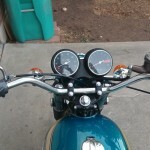 The instrument faces were replaced. 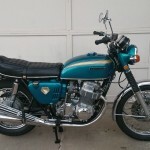 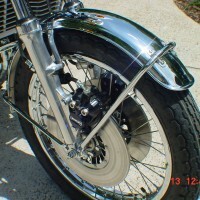 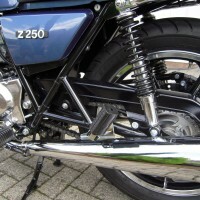 A very nice restored Honda CB750 Sandcast Motorcycle.